The AVH-4100NEX also features Android Auto which extends the Android platform into the car in a way that’s purpose-built for driving and automatically brings you useful information and organizes it into simple cards that appear just when they’re needed. It’s designed to minimize distraction so you can stay focused on the road ahead. Previously only available on the NEX line, the AVH-X5800BHS features the responsive, powerful and intuitive NEX user interface that is easy to use and highly customizable. It features a new clear resistive touchscreen that provides brighter, more vibrant colors and increased touch sensitivity, making it more responsive than traditional resistive touch panels. 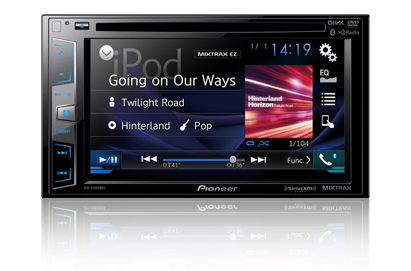 The AVH-X5800BHS offers FLAC file playback capability at up to 48 kHz/24 bit high resolution CD-quality audio playback. It is also loaded with audio settings to enhance your music listening experience including a 13-band EQ with slope adjustments, time alignment, two-way network, auto EQ, Pioneer’s proprietary Sound Retriever AIR, and high voltage preouts. The AVH-5800BHS now using component video playback, the video quality of DVD playback is improved. 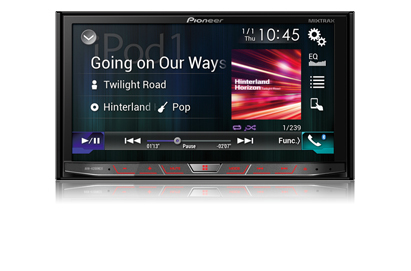 Easily upgrade the AVH-X3800BHS to navigation with the addition of the AVIC-U260 add-on navigation system. This versatile hideaway unit allows you to switch to navigation mode with the touch of a button. Get to your destination by inputting an address or search through the POI library while enjoying whatever source is currently playing. The AVH-X2800BS is SiriusXM-Ready™ so you can listen to commercial-free music, all your favorite sports, exclusive talk and entertainment, comedy, news, traffic, weather, and more! Simply connect the SiriusXM Connect Vehicle Tuner to the dedicated port on the rear of the receiver and control and enjoy satellite radio without additional translators or cables. Features like Tune Start, Tune Scan, Replay, and iTunes® Tagging will be available on the receiver. The SiriusXM Connect Vehicle Tuner is sold separately. Also, a subscription to SiriusXM Radio is required. From hands-free calling, wireless audio streaming with artist, album, and song search, and simple pairing, Bluetooth® wireless technology has made life in the vehicle much more convenient. 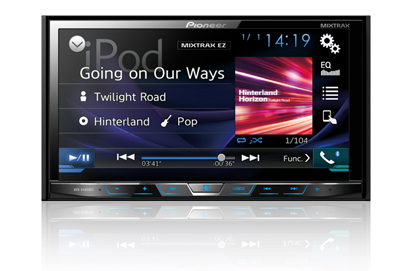 The AVH-280BT with Bluetooth also includes better call quality reception using the new Wideband Speech Handsfree Profile 1.6. Nearly doubling the bandwidth of the frequency helps bring call quality similar to FM reception. Previously only available on the NEX line, the AVH-280BT features the responsive, powerful and intuitive NEX user interface that is easy to use and highly customizable. It features a new clear resistive touchscreen that provides brighter, more vibrant colors and increased touch sensitivity, making it more responsive than traditional resistive touch panels.